What other online retailers see as luxurious extras we see as part-and-parcel of our service at Mister Spex. Our high-end plastic lenses automatically come with UV filter, anti-reflective and hard coated finishes. You can rest assured that we only use lenses from the world's leading manufacturers such as SEIKO Optical, Hoya Lens and Essilor. Thanks to our standard, comfort, and premium packages, we are pretty confident that you will find the right pair of lenses just for you. Producing the perfect lenses is of utmost importance to us. 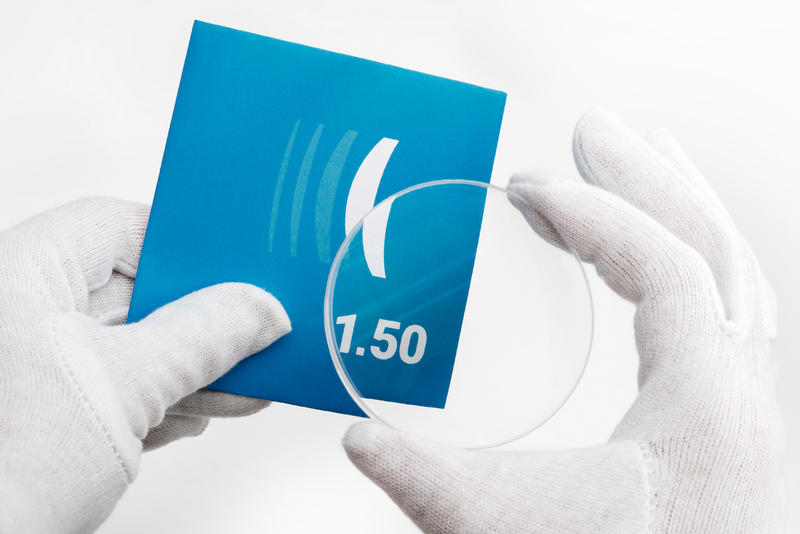 With the help of state-of-the-art technology, we are able to accurately cut single vision lenses into form at our professional Berlin workshop even in the right form. Trained opticians and optical experts ensure that your new glasses meet the highest quality standards and the valid standard DIN EN ISO 21987 certification.